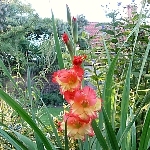 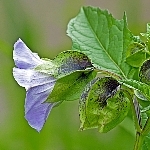 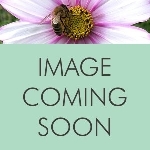 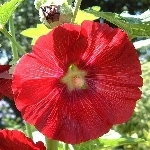 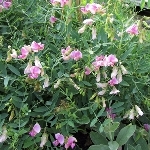 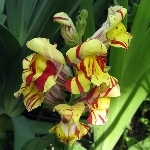 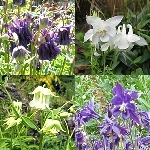 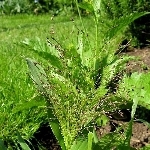 This is an alphabetical listing of the Mixed cottage garden plants you selected. 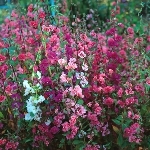 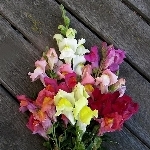 Flowers in a range of colours, from white through warm yellows, oranges and reds to shades of pink, on strong, straight stems with glossy foliage. 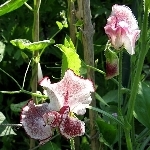 Prefers soil that is not too limey. 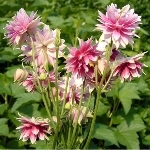 These seeds were collected from double varieties of dahlia in a lovely range of colours, from pale yellow through pinks and oranges to dark reds, all serving to brighten up the late summer and early autumn garden and also wonderful for flower arrangements. 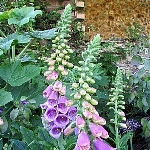 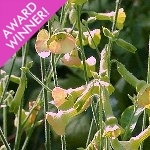 This, the original, wild form of the traditional cottage garden biennial plant, will be familiar to all, with its tall spires of blooms in a variety of pink shades above rosettes of large, mid-green leaves. 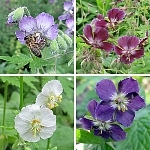 The flowers are much loved by pollinating insects, especially bumble bees.